Busy Bags are one of the easiest ways to help your child build the skills they will need for school at home in a hands on way! You can focus on a variety of topics and skills using everyday objects. The best part is that they are prepared and ready for play anytime for your kids. Since they are in a bag or closed container they work great for traveling too. 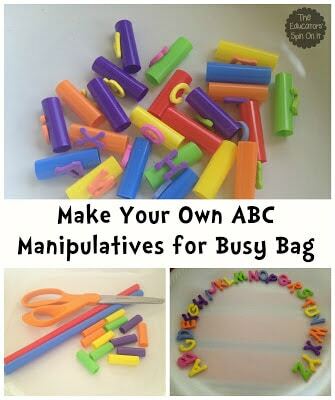 We are making a ABC Fun Busy Bag for our activity to share this month. To make your own it’s simple you just need five things! 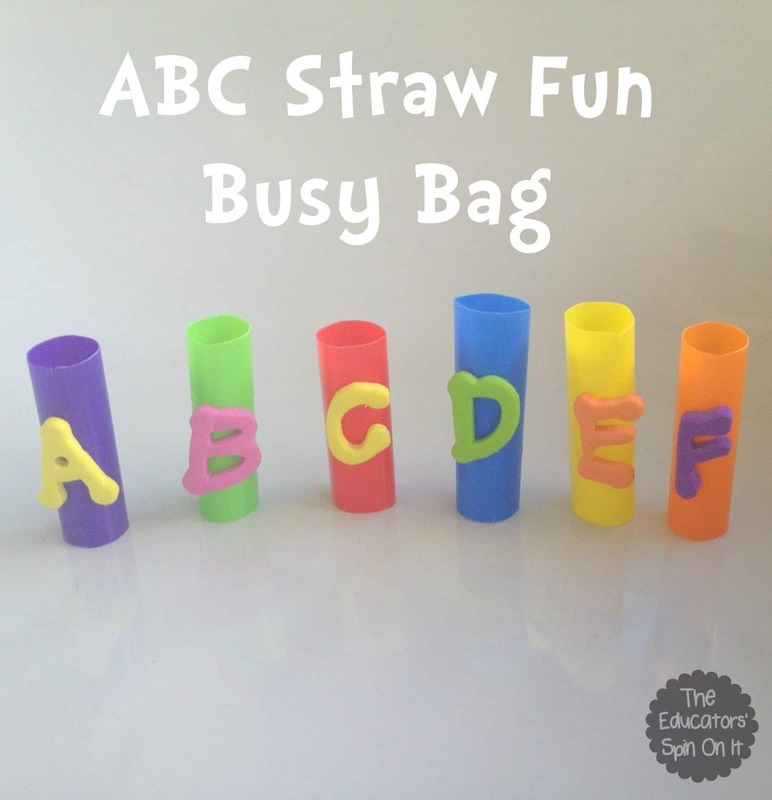 Large Straws and Foam Letters to make your own ABC Manipulatives. We made our together she help me put them onto the straws and we talked about the letters and letter sounds as we did it. (Confession I always have extra foam letters around the house and am always looking for ways to use them, they are the best manipulative for learning your ABC’s.) Once you have your letters attached to the straws it’s time to have fun! There are a variety of games to play with them. Then if you want you can create an alphabet Mat to place the letters onto. 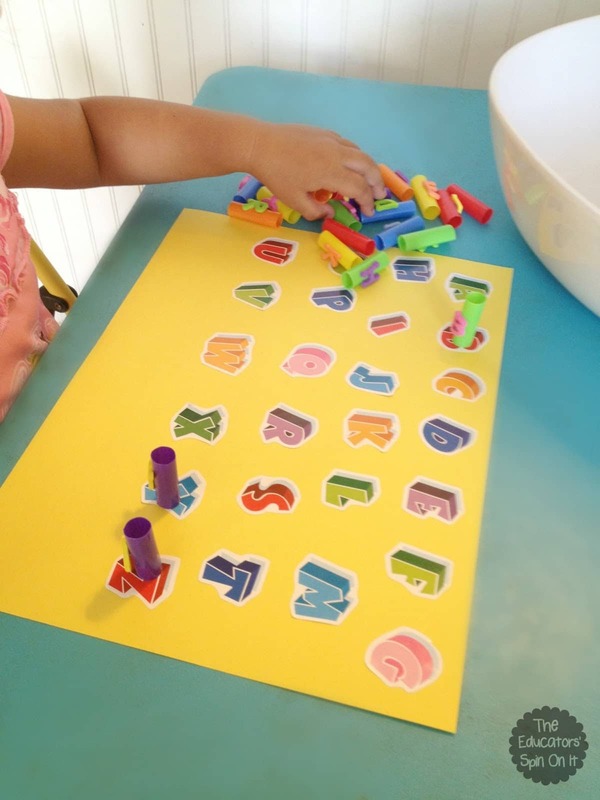 You can print out an alphabet chart or create one with stickers. We use our alphabet stickers to make a special mat. 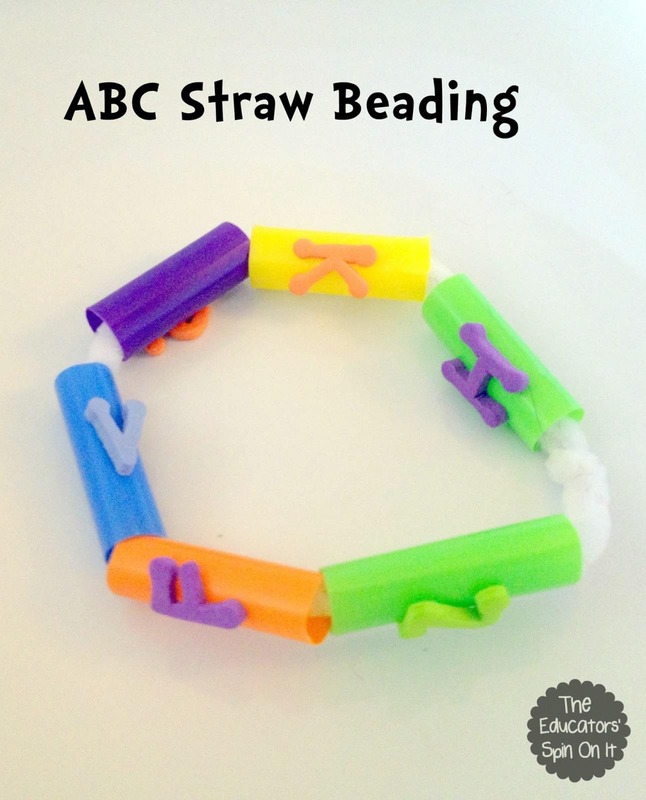 You can also use Pipe Cleaner to practice beading with your ABC Straws! 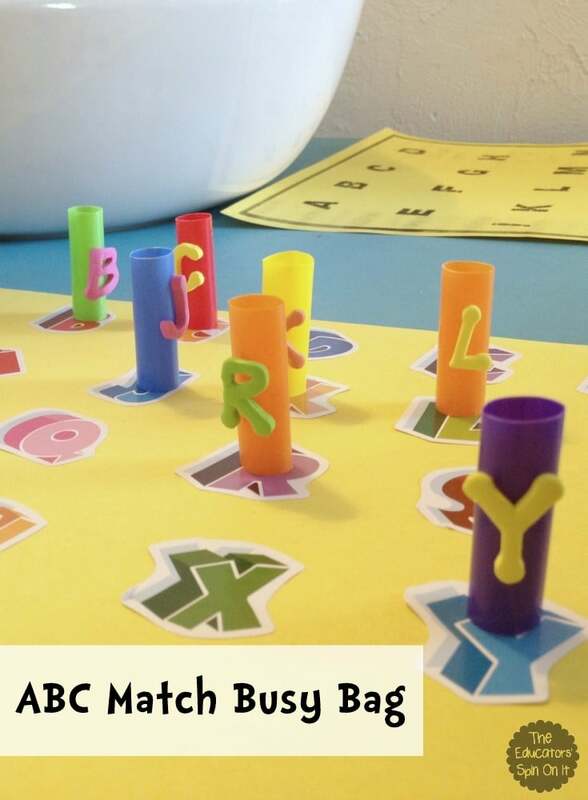 All of these games are perfect for learning letter recognition, color recognition and even works on fine moter skills. I’m sure you will find even more ways to use your ABC Straws! Don’t forget to Follow Busy Bags for the Kiddos on Pinterest! LOVE this idea!!! And I already have all of the supplies so that is even better!!! Those foam letter stickers are awesome aren't they?!? Love how versatile this is! Featuring you on my blog today!